Kid's Wooden Doll House Just $109.99! Down From $200! PLUS FREE Shipping! You are here: Home / Great Deals / Amazon Deals / Kid’s Wooden Doll House Just $109.99! Down From $200! PLUS FREE Shipping! 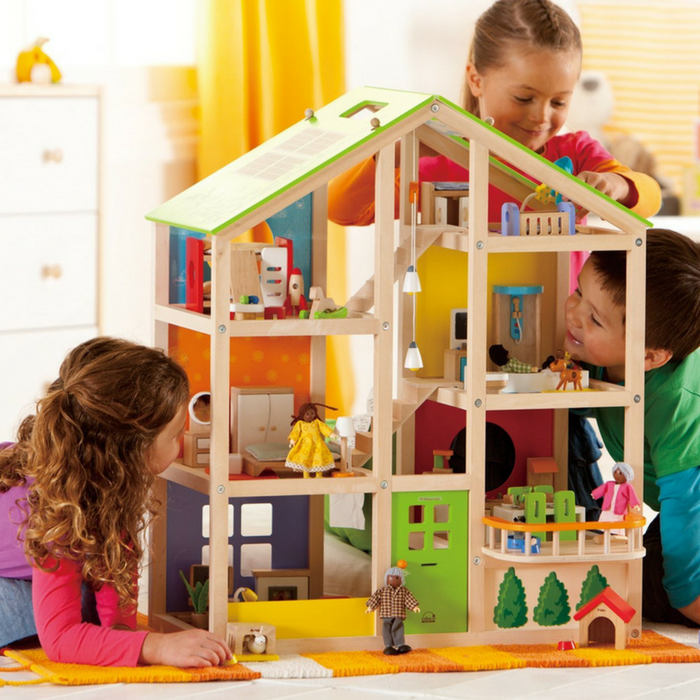 Kid’s Wooden Doll House Just $109.99! Down From $200! PLUS FREE Shipping! Amazon has this Kid’s Wooden Doll House on sale for just $109.99 down from $199.99 PLUS FREE shipping! With its timeless design and classic wooden appeal, the All Season Doll House from Hape is the foundation of a happy doll family. Featuring three different levels with a open face style, the doll house offers a wide variety of ways to play from the front, back, sides, and even top. Uniquely shaped rooms offer realistic appeal and moving parts encourage interaction, and access to the ‘outside’ as well. The Happy Family Doll collection includes home furnishings to fill your doll house, dolls, and other accessories.